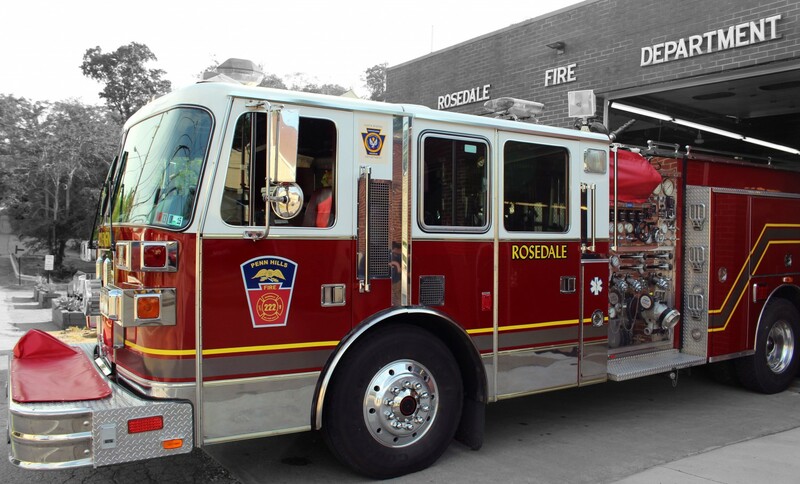 The goal of the Rosedale Volunteer Fire Department is to provide the best and most up-to-date fire service to the people in our fire protection district. In contrast, maintaining keys to alarmed buildings/residences has become unmanageable and is causing delays when responding to emergencies. In order to access buildings quickly, minimize forced entry damage, and protect firefighters from injury, the Rosedale Volunteer Fire Department has adopted the Knox-Box Rapid Entry System. Currently, more than seven thousand fire departments and the communities they protect enjoy the benefits of this proven system. Knox-Boxes are constructed of ¼” solid steel with a ½” steel door and reinforced locking mechanism. They are UL listed against physical attack and Medeco security lock is patented and UL listed for drill , pick and pull resistance. The master key to open the Knox-Box is held ONLY by Penn Hills Fire Departments. This high security key is strictly controlled and is produced ONLY by the Medeco factory under direction from an authorized fire official’s signature. Knox-Boxes are specified by the Municipality of Penn Hills and are purchased directly from the Knox Company. Once installed near the entrance to your property, the fire company or fire marshal locks your building entrance key inside the Knox-Box so that it is available onsite for future emergencies. If you have any further questions feel free to call the Knox Company at 800-552-5669 or you can visit the Knox website at http://www.knoxbox.com. Otherwise, please call the RVFD at 412-798-0412 or the Penn Hills Fire Marshal at 412-798-2020 to obtain an order form and installation instructions. 4. Satisfy any local fire codes and emergency access ordinances that may be in place. 6. Feel secure about emergency coverage when your building/residence is left unattended. The Penn Hills Volunteer Fire Department holds the only key to your Knox-Box. 7. Maintain building security after a fire alarm investigation by simply re-locking the un-damaged door. 10. Over the last 27 years, Knox-Box has been the chosen solution in 7,000 communities nationwide – communities just like ours!